Sunkist is giving young Canadian athletes the chance to win the ultimate hockey experience at the prestigious Okanagan Hockey School. 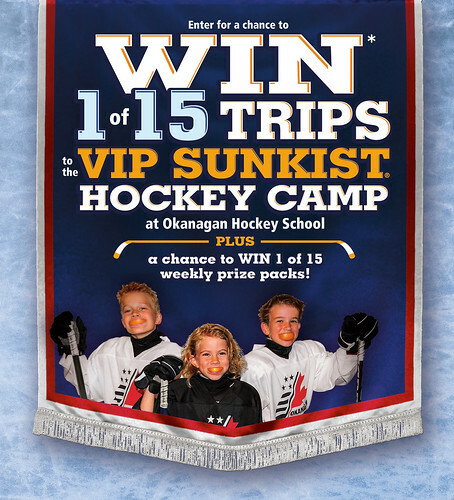 Through the VIP Sunkist Hockey Camp sweepstakes 15 lucky young Canadians will receive training from some of Canada’s hockey greats including Mike Needham, Robert Dirk and Gina Kingsbury. 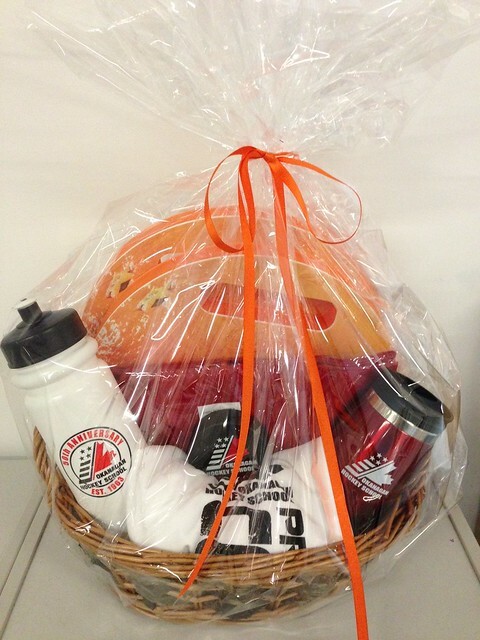 To help promote this, Sunkist is giving away a Hockey Rink Survival Kit to one of you. This Hockey Rink Survival Kit includes an Okanagan Hockey School hockey puck, water bottle, practice jersey, workout shirt, thermal mug and a pair of Sunkist seat warmers, plus a $50 gas card. Each Survival Kit is valued at $175. If you'd like to win this Hockey Rink Survival Kit, simply leave a comment on this entry by March 10 at midnight. Just be sure to put your email address in the email field. I'll randomly pick a winner. Good luck! I would love to survive with the $50.00 gas card! I'm in, hope I win. Is there a mickey of Jack Daniels in the kit? I think when I was kid that was how the parents survived the unheated Clairalea arena on a cold saturday morning. Aww the 60's. I would like to give this survival kit to Mr. Putin and tell him the world needs gifts and not brawn for everyone to co exist. 3 kids in hockey I could use this! Steve is the winner! I'll be sending you an email, Steve, to get your mailing address.